The best job on the planet is that of a parent. I can’t begin to explain how awesome it has been over the years watching my kids grow up and being actively engaged in their lives. Sure, there are some lows along the way, but the highs are what bring so much joy and purpose into our own lives. If you are a parent, you know exactly what I am talking about. I had always envisioned the types of activities my kids would participate in with sports being one of them. However, I never thought that parenthood would bestow the official role of “cheer dad” upon me in the case of my daughter, but I am so glad that it did. For starters, I never realized the sheer athleticism that is needed to excel in competitive cheerleading. My daughter does all of these elaborate flips and stunts, often referred to as tumbling in the cheerleading world, that leave me in a state of awe every time I watch her. I know for a fact that if I attempted any of these moves, I would severely hurt myself. Equally as impressive are the team aspects of cheer. In a short period, she progressed numerous levels regarding the specific skills she could perform thanks to the dedication on her part and some phenomenal coaches. The coordination, agility, and strength that it takes to perform difficult routines that combine stunts, flips and dance are incredible. Loud and annoying music aside, competitive cheerleading has to be one of the most difficult and demanding sports out there. My wife and I try to support our daughter the best we can as she loves this sport with a passion. One day when I was traveling, my wife purchased a contraption called an air track. It is a tumbling mat that simulates a bouncing floor similar to what the girls cheer on at the gym and competitions. We have it in a shed outside where my daughter and her friends can set it up and practice anytime they want. Here is where the learning aspect comes into play. Routinely my daughter will set up her iPhone on the fence to record herself as she tumbles away. She then watches the video to self-critique her form and reflect on what can be done to improve. The best part is that she is doing this all on her own thanks to intrinsic motivation. On many occasions, she will then take the video clips to her coach for feedback. As impressed as I am with my daughter on her use of video in support of learning and mastering cheer skills, I am equally impressed with her coach. During private lessons, he will use his iPad to video and then review my daughter’s technique and what she has to do to improve. At the end of the lesson, he will then come up to me and go through various video clips showing where she started during the session and where she eventually ended up focusing on growth. He does the same during team practice. Video, captured either through a smartphone or tablet, has become an essential coaching tool to assist the girls with learning their routine. 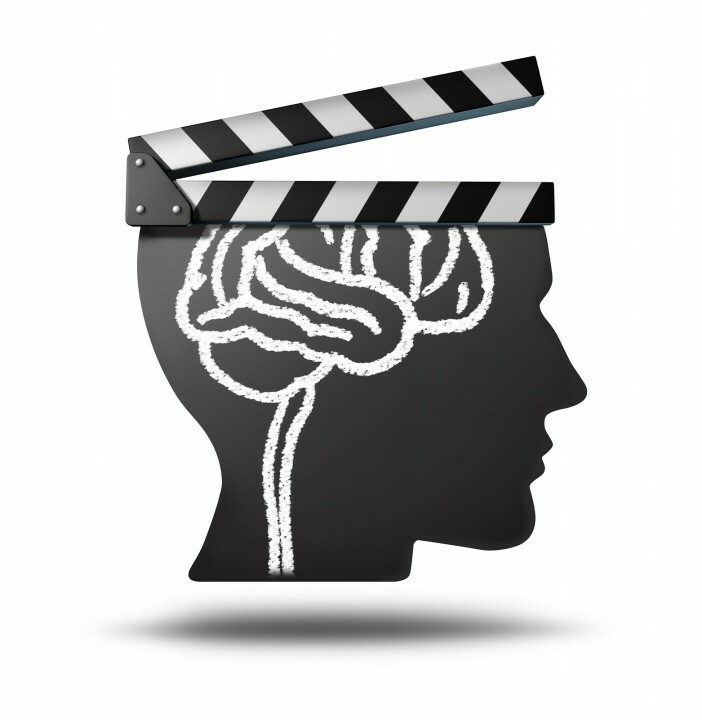 The above story lays out how video can effectively be utilized to support learning. Various research studies have revealed how video can serve as a highly effective learning tool (Allen & Smith, 2012; Kay, 2012; Lloyd & Robertson, 2012; Rackaway, 2012; Hsin & Cigas, 2013). Cynthia Brame from Vanderbilt University’s Center for Teaching looked at these and many other studies as they worked to outline the following elements to consider to ensure effective implementation. "To help students get the most out of an educational video, it’s essential to provide tools to help them process the information and to monitor their understanding. There are multiple ways to do this effectively such as guiding questions, using interactive features that give students control, and integrating questions into the video. The critical thing to keep in mind is that watching a video can be a passive experience, much as reading can be. 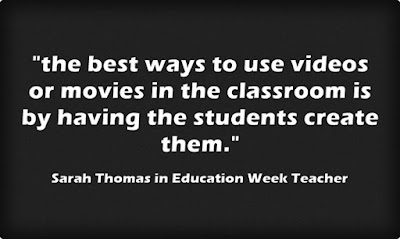 To make the most of video, we need to help students do the processing and self-evaluation that will lead to the learning we want to see." I couldn’t agree more with the synopsis above, which is also supported by a comprehensive research review conducted by the University of Queensland. 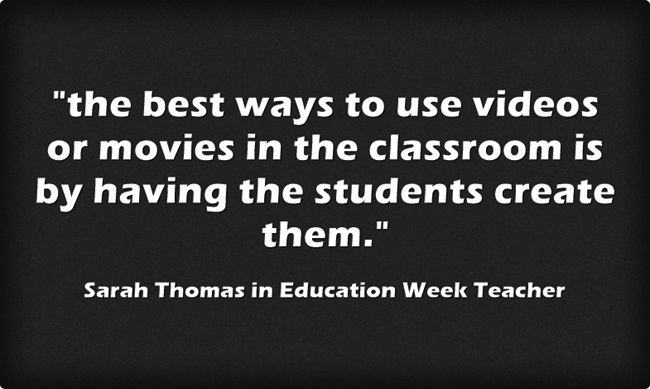 Just showing a video in class doesn’t cut it and is dismissive of the potential it can have as an educational tool. For video to really impact learning and outcomes, active use should be the goal. What is even more important is how learners are empowered to use their own devices to capture video as a means to showcase what they have learned (see an example here from one of my former students), reflect, and set actionable goals for growth. When aligned with knowledge taxonomy ask yourself how video is being used by kids to apply, analyze, evaluate, and create. In the case of my daughter, I can say without a doubt that she uses it to support her learning and growth in cheer. Imagine then the possibilities for learners in our classrooms.